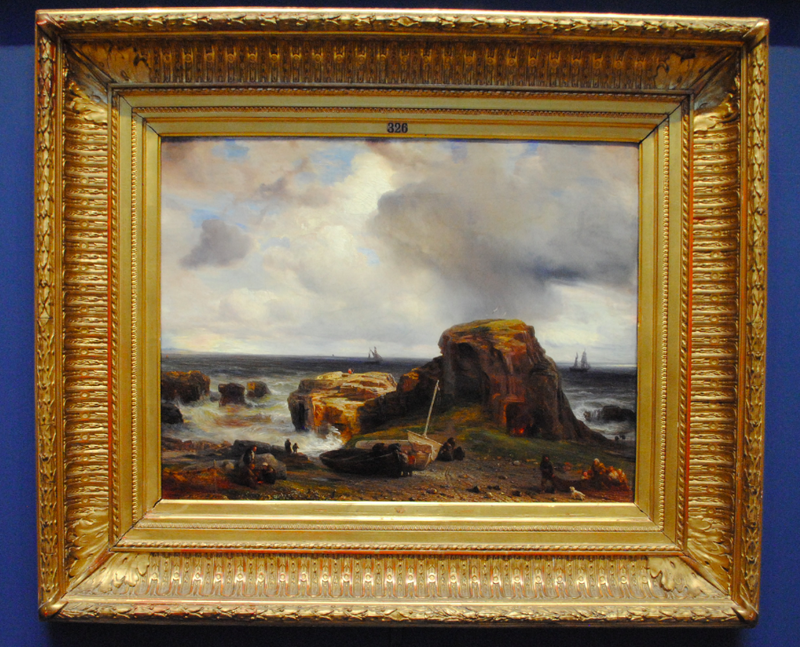 The above oil on canvas painting is the work of the 19th century French marine artist Baron Jean Antoine Théodore Gudin. Having married the Hon. Margaret-Louis Hay, Gudin spent a considerable amount of time in Scotland, particularly at Dunrobin Castle and Seaton, with his wife’s relatives. 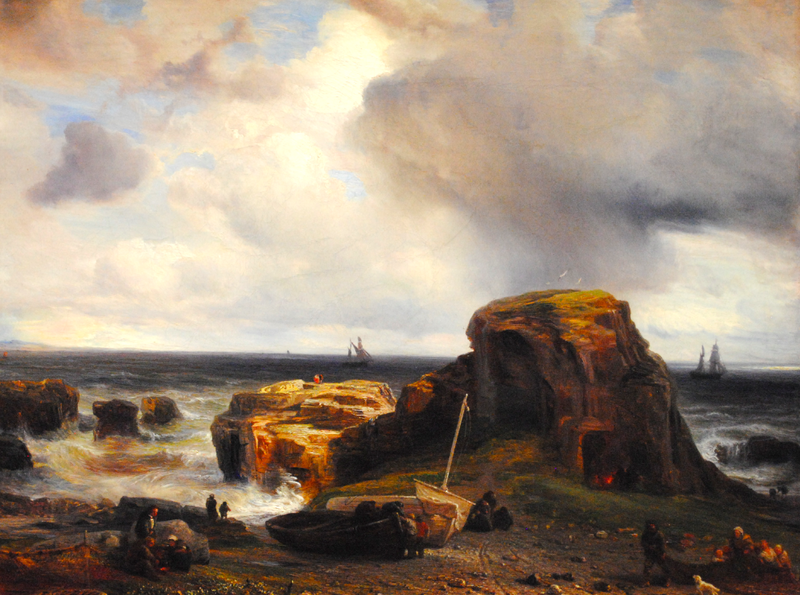 The painting depicts the treacherous headland to the south of Aberdeen Harbour known as Girdle Ness.